LibreAtlas is an open source Geography Education application built on top of SpatiaLite and RasterLite. 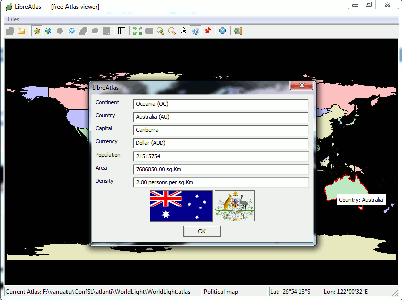 It uses LibreAtlas databases which are a digital alternative to a paper atlas. Caveat: this is an obsolete project no longer supported by any development activity. This HTML page is just intended for historical documentation purposes and not for any real usage. statically linked, self-contained, no external dependencies.